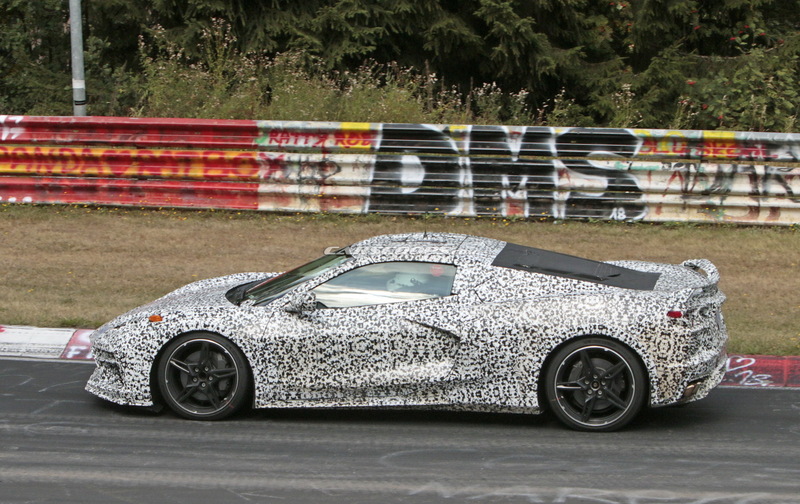 Finally – Our First “Real” Look at the Mid-Engine C8 Corvette! 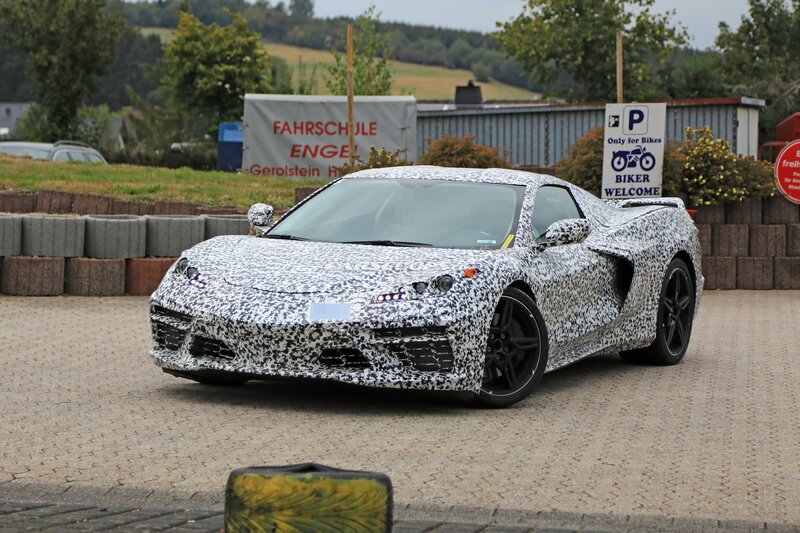 The 2020 Mid-Engine Corvette photographed near the Nurburgring on September 3, 2018. These images first hit the internet on Monday, September 3, 2018. 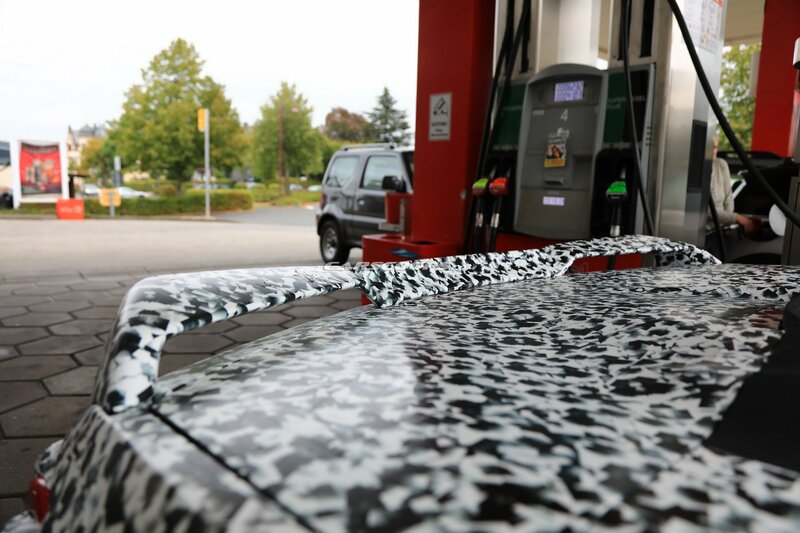 The car was spotted by spy-photographers at an automotive test facility near the Nurburgring in Germany. Several prototype cars were onsite for testing, and photographers were able to get up-close-and-personal with some of them. 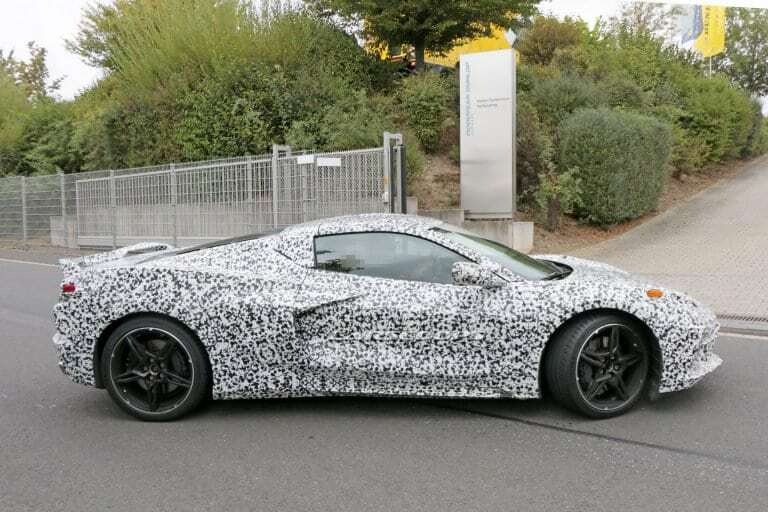 These latest images of the new mid-engine Corvette provide us with our first look at the entire production vehicle, including many previously unseen details pertaining to the car’s shape and overall design. 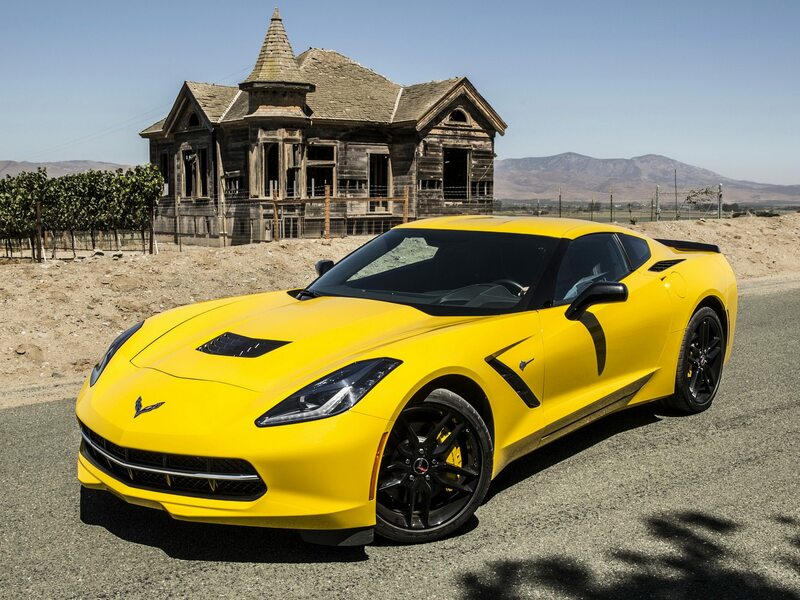 This new Corvette, despite being a mid-engine model, is clearly an evolution of the current C7 Corvette. 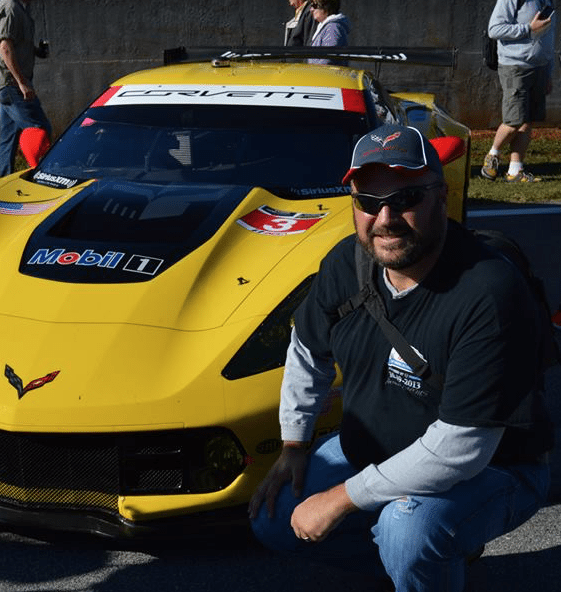 Although the car’s front-end grill is still partially wrapped, it is easy to recognize the similarities between it and the front end of the current Corvette ZR1. The current headlights almost appear to be a throwback to the C6 model, leaving many to speculate whether or not the headlights are just “placeholders” on the prototype models. 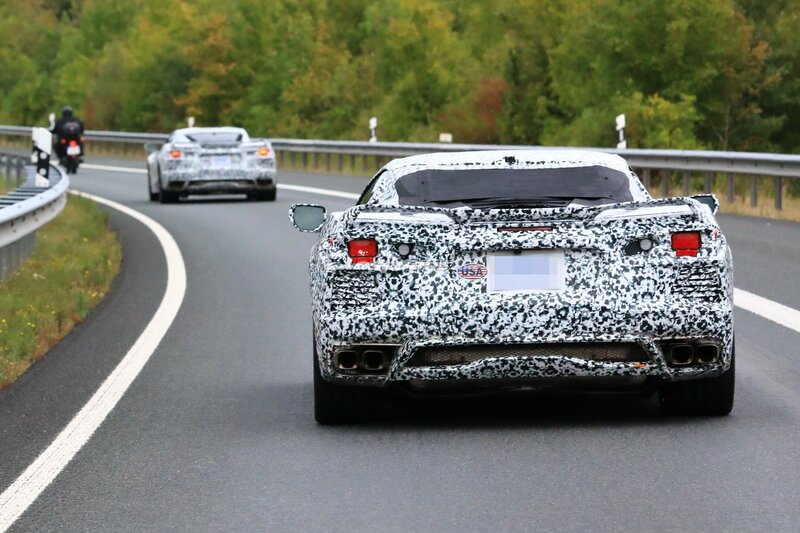 There is also speculation whether or not the giant air intakes on the side of the car will look exactly the ones seen on the prototype cars, or if there’s some additional camouflage covering the actual opening. In either case, there is no doubt that the mid-engine Corvette will require considerable amounts of airflow to adequately feed and cool the mid-mounted engine. 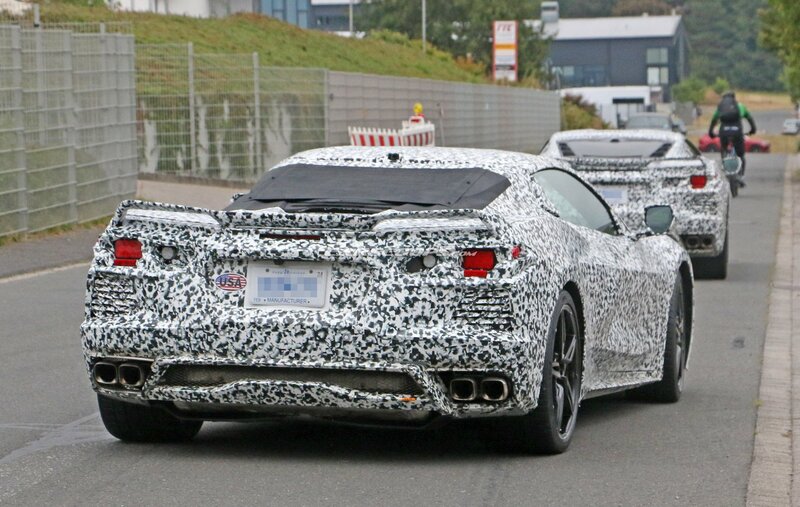 What’s most enticing about this latest reveal is how sculpted the body of the mid-engine Corvette is. The car features a very aggressive stance, with dominant bodylines running the length of the car, originating at the front fenders, accentuating the doors and flowing into the widened rear-end. 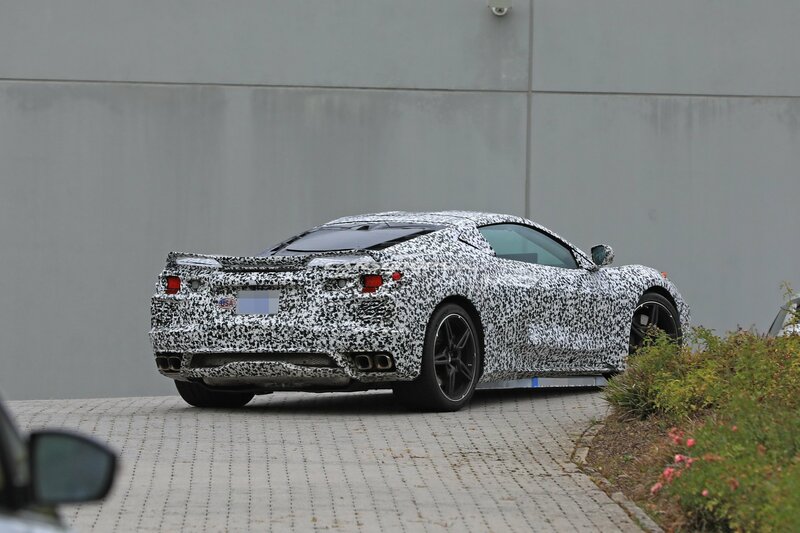 The car’s rear fascia appears to include Corvette’s signature four-lamp taillight assembly, heat extractors at the flanks and squared-off exhaust tips at the outside corners of the car. 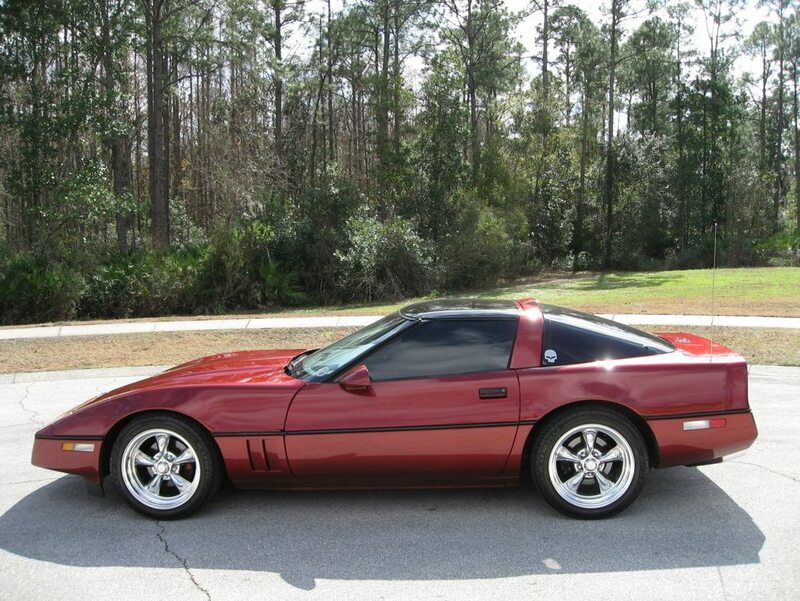 This is a definite departure from the C5–C7 Corvettes, all of which had the exhaust tips centrally located at the rear of the car. The rear hatch also appears to have some built-in ventilation. There is also a newly-designed, relatively minimized-looking rear wing sculpted into the car’s rear end. With regards to the car’s powertrain, the exact specifications are still unknown. However, as we’ve reported previously, it is believed that several engine variants will be offered, with varying amounts of horsepower. It has been rumored that the mid-engine C8 will include two dual-overhead-cam V8 engines, including a 4.2-liter and a 5.5-liter option. It will also feature a dual-clutch transmission. While many enthusiasts are hoping for the option of selecting a manual gearbox, all reports so far indicate this is not to be.